(WAFF) - More clouds are on the way for Wednesday but storm chances hold off until late Thursday. Highs will reach the lower 80s in most areas Wednesday afternoon after starting the day in the lower 50s. Expect it to become mostly cloudy by Wednesday afternoon. Overnight Wednesday into Thursday the wind will continue to increase from the south at 10-15 with gusts to 20. Highs Thursday will be in the middle to upper 70s under a mostly cloudy sky. 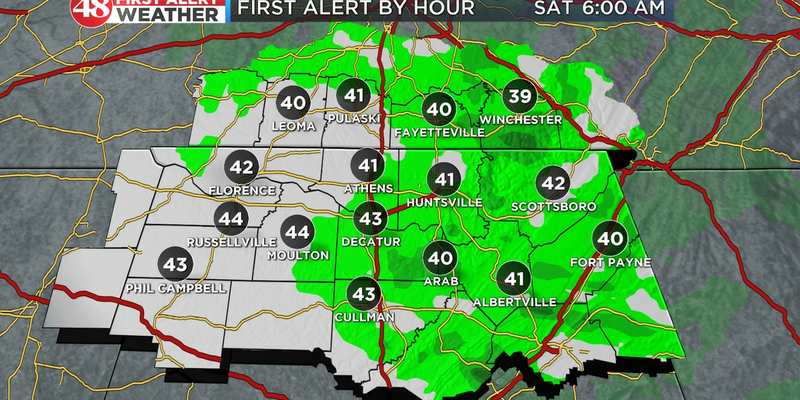 First Alert Thursday: At this time we continue to monitor a developing storm system that will bring a round of strong thunderstorms with heavy rain and wind gusts up to 50 mph late Thursday afternoon into Thursday night. 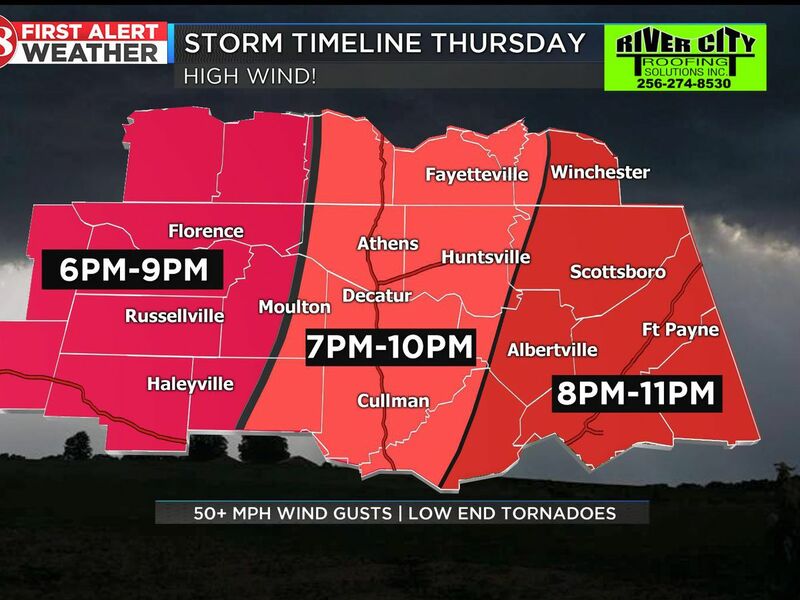 The line will track east and move into Georgia around 1 a.m. Friday. As we see it now, the instability could be on the low side but there is still plenty of shear in place for a brief spin-up tornado, especially by the evening hours. Right now it appears the higher threat for more organized severe weather will take place over south Alabama. 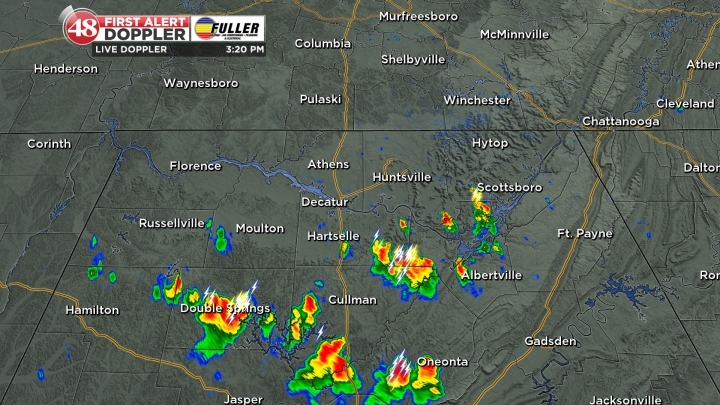 The overall storm system will be undergoing some changes as it passes over north Alabama. This change could result in a more significant threat for severe weather early Friday morning over northern Florida and south Georgia. If the storm system undergoes this change to our west, earlier, that would increase our chances for severe storms. Just keep checking back for updates because this continues to be a developing storm system. It will be cloudy with highs only in the 50s Friday. 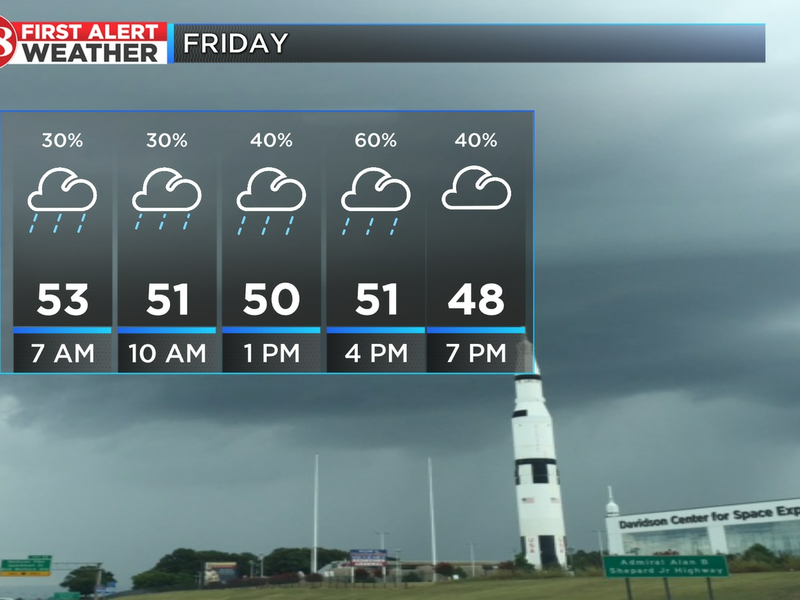 Scattered light rain showers will be possible early Friday and into the afternoon. Saturday and Sunday look good. Highs will be in the middle 60s Saturday and in the middle to upper 70s for Easter Sunday.